The landmark legislative amendments to Singapore's restructuring and insolvency legal framework in 2017 (the 2017 Amendments) were implemented as part of a concerted push by the Singapore government to promote Singapore as an international centre for debt restructuring. Drawing inspiration from the United States Chapter 11 framework, the 2017 Amendments sought to put in place a conducive legal and regulatory framework to facilitate corporate rescues and cross-border debt restructurings with Singapore as an international and regional hub. At present, the main sources of legislation in Singapore governing corporate restructuring and insolvency are the Companies Act, with certain provisions in the Bankruptcy Act imported into the Companies Act with necessary modifications. Both Acts are supplemented by various subsidiary legislation.5 Under the framework, there are three broad areas of court-supervised insolvency and restructuring procedures for companies: schemes of arrangement, judicial management and liquidation. Part VII of the Companies Act sets out the statutory framework for schemes of arrangement. A scheme of arrangement is a statutory mechanism for securing agreement between a company and its creditors, members or shareholders in respect of a compromise or arrangement without the need for unanimous consent. Thus, under the scheme, creditors may, for example, agree to rearrange or extinguish debts owed by the company to them in part or in whole, or to defer repayment of the same. The 2017 Amendments to the Companies Act were aimed at addressing potential shortcomings in the scheme of arrangement process,6 and these are discussed further in Section III. Part VIIIA of the Companies Act sets the statutory framework for judicial management. Judicial management may be utilised either as a tool for corporate rescue or to carry out a more advantageous realisation of a company's assets than would be possible in a winding up. As regards the former, it has been observed that the rehabilitative value of judicial management has been hampered by perceived weaknesses in the statutory regime, arguably contributing to a historically low success rate.7 The 2017 Amendments to the Companies Act were also introduced to address these potential shortcomings, and these are discussed further in Section III. This section discusses a number of recent, non-exhaustive examples of clawback actions. A Singaporean court has powers to order a partial reversal of transactions in appropriate cases if 'justice so requires', for example, where the parties' claims are uncontroversial, or there is an agreement between the creditors and the liquidator.32 This is to avoid a situation in which related companies repaid the monies to the company, only to have a substantial portion of those monies repaid to themselves as unsecured creditors of the company. When entering into a loan transaction with a company that is insolvent or near insolvency, secured creditors should be mindful of the statutory avoidance provisions discussed in Section II.ii. A director is under a duty to act honestly and use reasonable diligence, as statutorily provided for in the Companies Act,40 which mirrors fiduciary duties imposed on directors by common law. Further, while the statutory avoidance provisions discussed in Section II.ii are not per se expressed to impose duties on directors, the court has recently confirmed that a director would likely be liable for a breach of fiduciary duties where there has been an adverse finding under the statutory avoidance.45 Further, the Court of Appeal has confirmed that claims for breaches of common law fiduciary duties are separate causes of action from claims for statutory avoidance provisions, and may, therefore, be brought notwithstanding the fact that the relevant time limit for the statutory avoidance provision has passed.46 In this situation, it is for the party seeking recovery to prove that the acts are in breach of fiduciary duties, and in seeking to prove a breach, the mere fact of payment to related parties is insufficient grounds for liability. 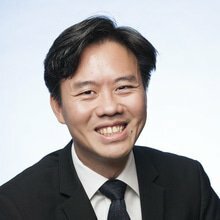 The 2017 Amendments introduced significant changes to the law governing schemes of arrangement, with the introduction of amendments to the Companies Act through the Companies (Amendment) Act 2017 (Act 17 of 2017).47 In the months following the 2017 Amendments the amendments coming into effect, the Singapore courts have considered the application of the new provisions on a number of occasions. In effect, the 2017 Amendments have created two separate regimes under which companies may obtain moratorium – under the new Section 211B of the Companies Act, and the old Section 210(10) of the Companies Act. While Pacific Andes Resources Development Ltd  SGHC 210 (Pacific Andes) had liberalised the requirements for obtaining a moratorium under the old Section 210(10),58 it is clear that the 2017 Amendments provide much more comprehensive protection for companies seeking to undergo restructuring. The Singapore High Court, in Re: Empire Capital Resources Pte Ltd  SGHC 36, held that, notwithstanding the 2017 Amendments, the Singapore court will not, in general, exercise its inherent jurisdiction to stay proceedings overseas where a moratorium is sought under Section 210(10) of the Companies Act.59 This is unaffected by the 2017 Amendments, and in particular, Section 211B of the amended Companies Act (which permits the Singapore courts to give extraterritorial effect to any moratorium). Fourth, in a bid to facilitate the possibility of ailing companies obtaining fresh financing, the 2017 Amendments empower the court to confer various levels of 'super priority' for rescue financing in certain circumstances.64 'Rescue financing' is statutorily defined to mean financing which is necessary either for the survival of the company as a going concern, or to achieve a more advantageous realisation of the company's assets than in a winding-up.65 The case of Re Attilan Group Ltd  3 SLR 898 (Re Attilan) was the first reported decision of the Singapore courts concerning the application of Section 211E of the Companies Act. In Re Attilan, the company applied for leave to convene a creditor's meeting to consider a scheme of arrangement under Section 210(1) of the Companies Act, and for super priority status to be granted pursuant to Section 211E of the Companies Act. The High Court held that it must be sufficiently satisfied on a balance of probabilities, with credible evidence, that the requirements stipulated under Section 211E are met.66 Under Section 211E(1)(a) of the Companies Act, the applicant must show that it has expended reasonable efforts to secure other types of financing without super priority, before the court will exercise its discretion to grant super priority.67 Under Section 211E(1)(b) of the Companies Act, the debtor must demonstrate reasonable efforts have been undertaken to explore other types of financing without priority status.68 Evidence should, therefore, be given of, for example, failed negotiations, and mere unsubstantiated assertions will be insufficient.69 The High Court also identified various considerations relevant to the exercise of its discretion, including whether: (1) the proposed financing is in the exercise of sound and reasonable business judgment; (2) no alternative financing is available on any other basis; (3) such proposed financing is in the best interests of the creditors; (4) no better proposals are before the court; (5) the proposed financing is necessary to preserve the assets of the estate and is necessary, essential and appropriate for the continued operation of the debtors' business; (6) the terms of the proposed financing are fair, reasonable and adequate; and (7) the financing agreement was negotiated in good faith and at arm's length.70 Taking into account the above factors, the Court in Re Attilan disallowed the application for super-priority status on the grounds that there was insufficient evidence of any efforts (let alone reasonable efforts) to secure financing without priority status. The 2017 Amendments relating to 'super priority' in rescue financing in schemes of arrangements are mirrored in the judicial management regime. Further, in an effort to address observations that judicial management has historically been invoked at too late a stage for the intervention to result in successful rehabilitation of the company,73 the threshold for a judicial management application to be made has been lowered from a company being 'unable to pay its debts' to being 'likely to become unable to pay its debts'. More significantly, the amendments now allow foreign companies to avail themselves of Singapore's judicial management regime. Prior to the 2017 Amendments, cross-border insolvency was principally governed by Sections 351 and 377 of the Companies Act and the common law.74 The former gave Singaporean courts the power to wind up an 'unregistered company' (including a foreign company). The latter provided, inter alia, for liquidators appointed in a foreign company's place of incorporation or origin to have the same powers and functions as a liquidator for Singapore. Following the 2017 Amendments, the UNCITRAL Model Law on Cross-Border Insolvency (the UNCITRAL Model Law) has been adopted in Singapore with certain modifications under the Tenth Schedule of the Companies Act (the Singapore Model Law). As mentioned above, a proposed new omnibus Insolvency Bill is expected to consolidate Singapore's existing personal and corporate restructuring and insolvency laws (currently under two separate regimes, governed by the Bankruptcy Act and Companies Act respectively) into a single piece of legislation.82 Among other anticipated changes are the streamlining of legislation for consistency and clarity, the implementation of the remaining recommendations of the ILRC formed in 2010 by the Ministry of Law and the introduction of a framework for the regulation of insolvency professionals. The previous edition of this chapter highlighted three companies in the offshore and marine and oil and gas industries that were undergoing judicial management – Swiber Holdings Limited (a listed offshore services firm), Technics Oil & Gas (an oil and gas services firm) and Swissco Holdings Limited (a listed marine firm). At the time of writing, all three companies still remain under judicial management, with the Singapore court granting a number of extensions of the relevant judicial management orders in respect of all three companies. Since then, offshore services provider Otto Marine Limited93 and bunker supplier Panoil Petroleum Pte Ltd94 have also been placed under judicial management. The offshore and marine group Marco Polo Marine Ltd emerged from a court-sanctioned debt restructuring exercise in January 2018.95 Public interest in the outcome of the restructuring of the above companies remains significant, given the reported exposure of local banks to this sector, and the significance of the offshore and marine and oil and gas sectors to the Singaporean economy. As discussed above at Section III.i, Singapore has recently adopted the Model Law. In addition, the Guidelines for Communication and Cooperation between Courts in Cross-Border Insolvency Matters (the Guidelines), originally proposed at the inaugural Judicial Insolvency Network (JIN) in October 2016, were adopted by Delaware and Singapore courts on 1 February 2017. The Guidelines, intended to 'improve in the interests of all stakeholders the efficiency and effectiveness of cross-border proceedings',96 mark the first time that a formal framework has been adopted and implemented by courts in coordination and cooperation in relation to cross-border insolvency. Among other things, the Guidelines provide for communications between courts to take place via telephone or video conference call or any other electronic means.97 As at the time of writing, apart from Delaware and Singapore, other jurisdictions that have implemented the Guidelines include England and Wales, the United States (Southern District of New York and Southern District of Florida), Australia (New South Wales), the British Virgin Islands and Bermuda. Following the implementation of the 2017 Amendments, it is expected that the Singapore government will continue its various policy initiatives, in consultation with the relevant stakeholders, to promote Singapore as an international debt restructuring hub. In particular, the proposed omnibus Insolvency Bill, which is slated for enactment in the second half of 2018, promises further refinements to the current insolvency regime. 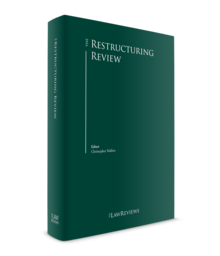 With more cases being heard and decided by the courts under the enhanced restructuring regime, users and stakeholders can look forward to greater clarity and certainty in terms of processes and outcomes in relation to cross-border corporate rescues and restructurings. 1 Kenneth Lim Tao Chung is a partner at Allen & Gledhill LLP. restructuring-hub (accessed on 30 May 2018). 3 Singapore Ministry of Law, Singapore Recognised as Most Improved Jurisdiction at Inaugural Global Restructuring Review Awards (22 June 2017) https://www.mlaw.gov.sg/content/minlaw/en/news/press-releases/singapore-recognised-as-most-improved-jurisdiction-at-inaugural-.html (accessed on 9 May 2018). 4 The Straits Times, Bill to streamline insolvency framework to be introduced in 2018: K Shangmugam (24 August 2017) and Ministry of Law, 'Keynote address by Mr K Shanmugam at Singapore Insolvency Conference 2017' (24 August 2017) https://www.mlaw.gov.sg/content/minlaw/en/news/speeches/keynote-address-by-mr-k-shanumgam--minister-for-home-affairs-and.html (accessed on 9 May 2018). 5 For example, the Companies (Winding-Up) Rules (Cap 50, Rg 1, 2006 Rev Ed). 6 Final Report of the Insolvency Law Review Committee (ILRC Report) at p. 135. 7 ILRC Report at pp. 82–84. 8 Section 247 of the Companies Act. 9 Section 253 of the Companies Act. 10 Petroships Investment Pte Ltd v. Wealthplus Pte Ltd (in members' voluntary liquidation)  SGHC 122 at . 11 See Section 254 of the Companies Act for the full list. 12 Section 254(1)(e) of the Companies Act. 13 Section 254(2)(a) of the Companies Act. 14 Section 254(2)(b) of the Companies Act. 15 Section 254(2)(c) of the Companies Act. 16 Chip Thye Enterprises Pte Ltd (in liquidation) v. Phay Gi Mo  1 SLR(R) 434 at . 17 Living the Link Pte Ltd (in creditors' voluntary liquidation) v. Tan Lay Tin Tina  3 SLR 621 (Living the Link) at ; CCM Industrial Pte Ltd (in liquidation) v. Chan Pui Yee  SGHC 231 at . 18 Parakou Shipping Pte Ltd (in liquidation) v. Liu Cheng Chan  SGHC 15 (Parakou (HC)) at . 19 Parakou (HC) at . 20 Section 290(1)(b) of the Companies Act. 21 Section 298 of the Companies Act. 22 Section 295 of the Companies Act. 23 Section 296 of the Companies Act. 24 Section 297(1) of the Companies Act. 25 Section 259 of the Companies Act. 26 Centaurea International Pte Ltd (in liquidation) v. Citus Trading Pte Ltd  SGHC 264. 27 Section 329 of the Companies Act, read with Section 99 of the Bankruptcy Act. 28 Living the Link at . 29 Section 329 of the Companies Act read with Section 98 of the Bankruptcy Act. 30 Companies (Application of Bankruptcy Act Provisions) Regulations, r 6. 31 Section 330 of the Companies Act. 32 Living the Link at . 33 Sections 227X(b) and 227T(1) of the Companies Act. 34 Section 131(3)(g) of the Companies Act. 35 Section 258 of the Companies Act. 36 Section 262(3) of the Companies Act. 37 Section 328 of the Companies Act. 38 Pars Ram Brothers (Pte) Ltd (in creditors' voluntary liquidation) v. Australian & New Zealand Banking Group Ltd  SGHC 38 at –. 39 Pars Ram Brothers (Pte) Ltd (in creditors' voluntary liquidation) v Australian & New Zealand Banking Group Ltd and others  SGHC 60 at . 40 Section 157(1) of the Companies Act. 41 Liquidators of Progen Engineering Pte Ltd v. Progen Holdings Ltd  4 SLR 1089. 42 Dynasty Line Ltd (in liquidation) v. Sukamto Sia and another and another appeal  SGCA 21. 43 Sections 339(3) and 340(2) of the Companies Act. 44 Section 340 of the Companies Act. 45 Living the Link at . See further at Section III. 46 Parakou Investment v. Parakou Shipping Pte Ltd (in liquidation)  1 SLR 271 at , upholding the High Court decision in Parakou (HC) at –. 47 Certain classes of companies, for example, financial institutions, are excluded from the scheme of arrangement, judicial management and Singapore Model Law provisions. 48 ILRC Report at p. 140. 49 Section 211B(8) of the Amended Companies Act. 50 Section 211B(1) of the Amended Companies Act. 51 Section 211B(5) of the Amended Companies Act. 52 Section 211C of the Amended Companies Act. 53 EMAS Offshore Limited Singapore Exchange announcement (26 September 2017) http://infopub.sgx.com/FileOpen/20170929%20-%20EOL%20-%20Announcement%20re%20S211%20Order%20v1.ashx?App=Announcement&FileID=471850 (accessed on 24 May 2018). 54 See http://www.bldinvestmentsscheme.com/scheme-documents/ (accessed 30 May 2018). 55 Nam Cheong Limited Singapore Exchange announcement (30 October 2017) http://infopub.sgx.com/FileOpen/Application%20for%20Proposed%20Scheme%20of%20Arrangement%20-%2030%20Oct%202017.ashx?App=Announcement&FileID=475960 (accessed on 24 May 2018). 56 Hoe Leong Corporation Ltd. Singapore Exchange announcement (7 December 2017) http://infopub.sgx.com/FileOpen/Outcome%20of%20Moratoria%20Applications_Final.ashx?App=Announcement&FileID=481256 (accessed 24 May 2018). 57 Hyflux Ltd Singapore Exchange announcement (22 May 2018) http://infopub.sgx.com/FileOpen/HL%20-%20Announcement%2022%20May%202018%20final.ashx?App=Announcement&FileID=506928 (accessed on 24 May 2018). 58 See Pacific Andes at ,  and . 59 Re: Empire Capital Resources Pte Ltd  SGHC 36 at . 60 ILRC Report at p. 154. 61 Section 211H of the Amended Companies Act. 62 Debt Restructuring Committee Report at p. 26. &FileID=485997 (accessed 24 May 2018). 64 Section 211E of the Amended Companies Act. 65 Section 211E(9) of the Amended Companies Act. 66 Re Attilan at . 67 Re Attilan at –. 68 Re Attilan at . 69 Re Attilan at , . 70 See further at Re Attilan at –. 71 Re Attilan at –. 72 Re Attilan at . 73 ILRC Report at p. 84. 74 On developments in the common law, see further at Section III.iii of this chapter. 75 Re Zetta Jet at . 76 Re Zetta Jet at . 77 Re Zetta Jet at . 78 Re Zetta Jet at –. 79 Re Zetta Jet at . 80 Section 377(3)(c) of the Companies Act. 81 Sections 377(3)(c) and 377(14) of the Companies Act. 82 The Straits Times, Bill to streamline insolvency framework to be introduced in 2018: K Shangmugam (24 August 2017) and Ministry of Law, 'Keynote address by Mr K Shanmugam at Singapore Insolvency Conference 2017' (24 August 2017) https://www.mlaw.gov.sg/content/minlaw/en/news/speeches/keynote-address-by-mr-k-shanumgam--minister-for-home-affairs-and.html (accessed on 9 May 2018). 83 SK Engineering at . 84 Diablo Fortune at . 85 Diablo Fortune at . 86 Diablo Fortune at . 87 Diablo Fortune at . 88 Diablo Fortune at . 89 The Ministry of Law, Public Consultation on Proposed Amendments to the Companies Act in respect of Shipowner's Liens (23 May 2018) https://www.mlaw.gov.sg/content/minlaw/en/news/public-consultations/Public-Consultation-on-Proposed-Amendments-to-Companies-Act-in-respect-of-Shipowners-Liens.html (accessed on 24 May 2018). 90 Diablo Fortune Inc v. Duncan, Cameron Lindsay  SGCA 26. 91 Carpe Diem at . 92 Carpe Diem at . 93 The Straits Times, Otto Marine seeks judicial management (26 February 2018). panoil-petroleum-26829954 (accessed on 24 May 2018). 95 Marco Polo Marine Ltd Singapore Exchange announcement (25 January 2018) http://infopub.sgx.com/FileOpen/MPML_Completion%20of%20Debt%20Restructuring.ashx?App=Announcement&FileID=486538 (accesed on 24 May 2018); see also The Business Times, Marco Polo back in the black in Q2 on derecognised debts (14 May 2018). 96 The Guidelines at introductory paragraph A. 97 Guidelines 7 and 8 of the Guidelines. 98 Ezra Holdings Limited Singapore Exchange announcement (13 March 2018) http://infopub.sgx.com/FileOpen/Ezra%20-%20Announcement.ashx?App=Announcement&FileID=492650 (accessed on 24 May 2018); and Ezra Holdings Limited Singapore Exchange announcement (2 April 2018) http://infopub.sgx.com/FileOpen/Ezra%20Ezra%20Announcement%20_Prayers%202%20to%205%20SUM%201195.ashx?App=Announcement&FileID=495336 (accessed on 24 May 2018); see also The Straits Times, Ezra gets nod here for cross-border bankruptcy protocol (14 March 2018). 99 Ezra Holdings Limited Singapore Exchange announcement (13 March 2018) http://infopub.sgx.com/FileOpen/Ezra%20-%20Announcement.ashx?App=Announcement&FileID=492650 (accessed on 24 May 2018).